We introduced Amplifiear, a passive amplifier for iPad 3 and iPad 2. But if you need a more portable option, the following FOCO passive amplifier may be more suitable for you. FOCO is a mini-sized passive amplifier designed for both iPad 3 and iPad 2. 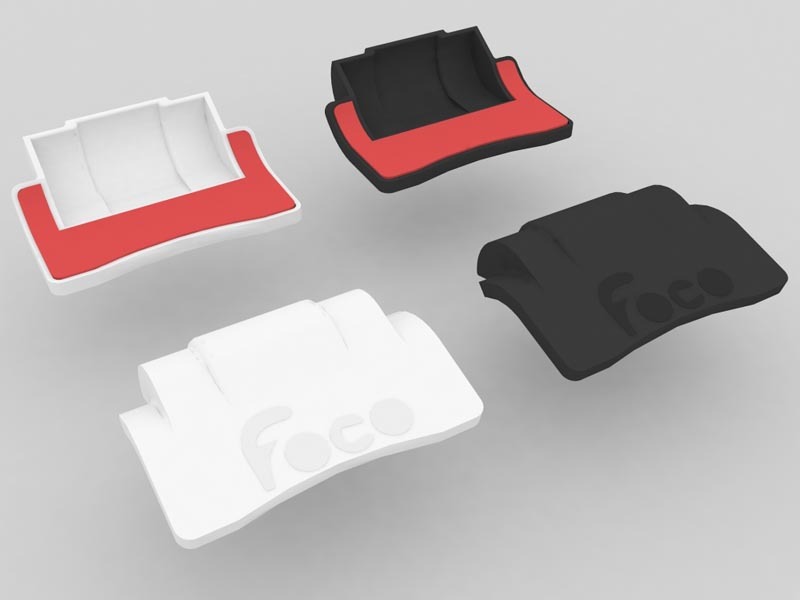 As we can see from the images, FOCO features a minimalistic design, the whole passive amplifier is constructed of very dense plastic for durability, and comes with an PU sticky pad in order to firmly attach to your iPad and prevent it from scratching your device. 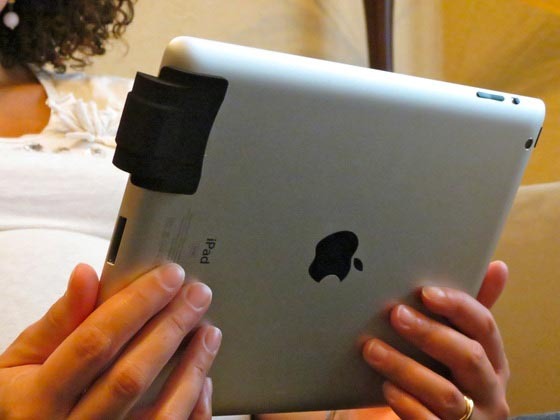 When attached to your iPad, the acoustic chamber can effectively amplify the sound from your iPad 3 or 2 for your favorite music, videos and games. Of course, this kind of mini design allows you to amplify the sound of your iPad at any time without a portable speaker. At present, the designer of FOCO is raising fund on Kickstarter. Pledge $8 will let you own the mini passive amplifier. If you’re interested, jump to Kickstarter official site for more details or check out the following demo video first.